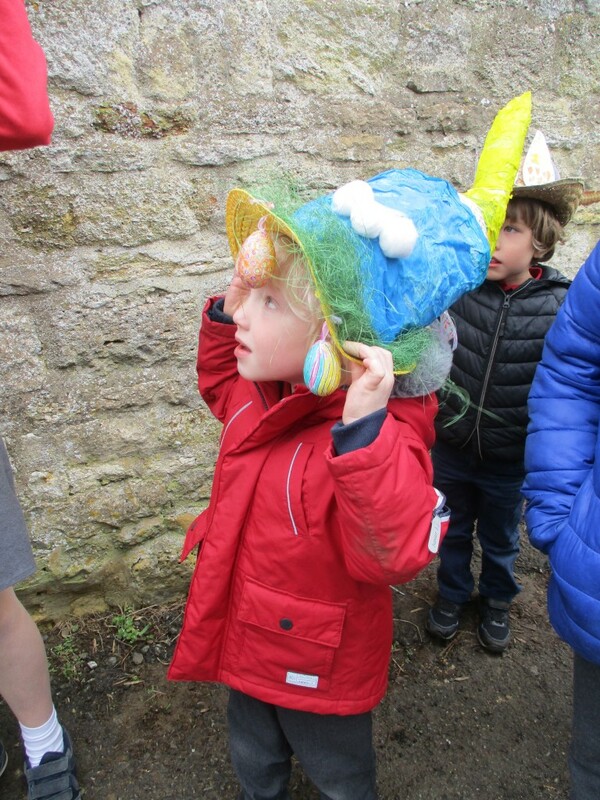 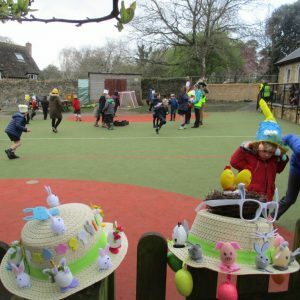 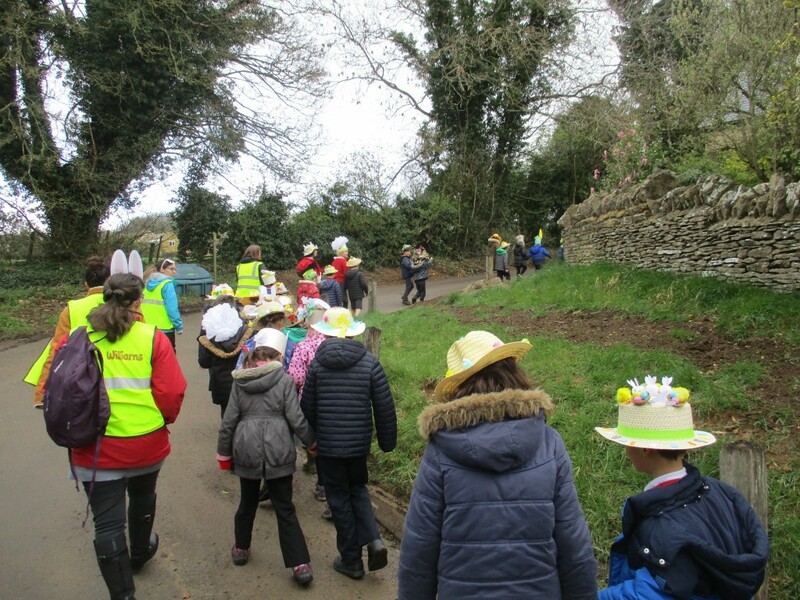 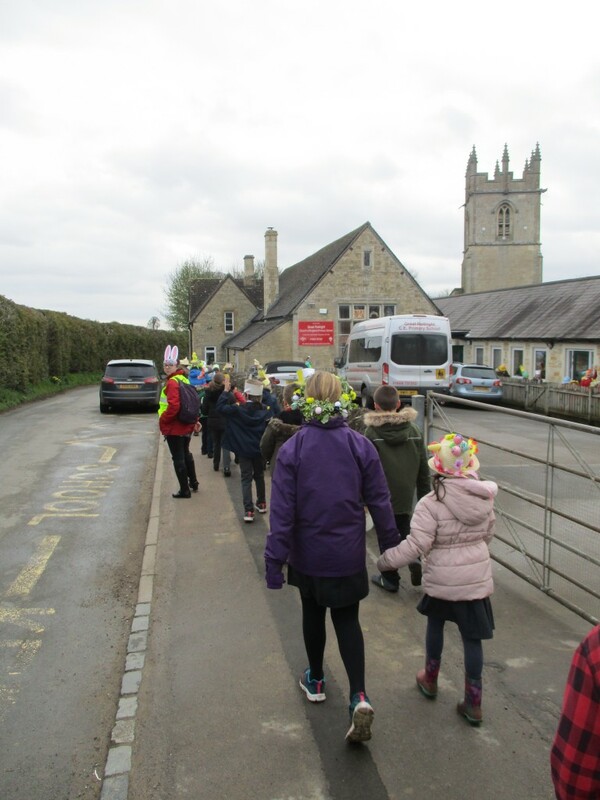 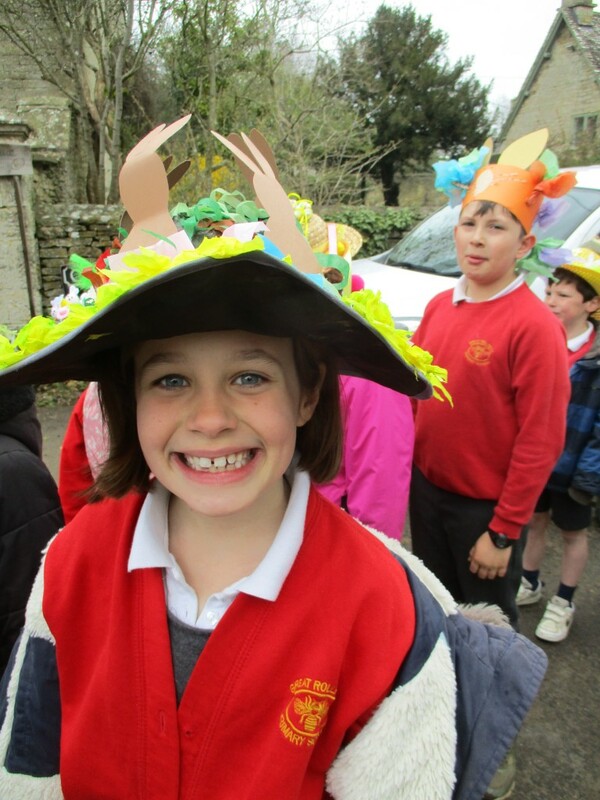 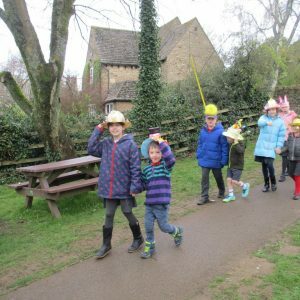 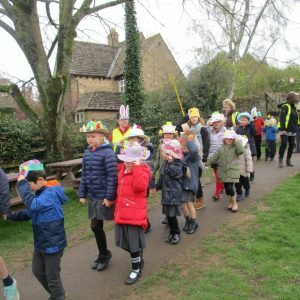 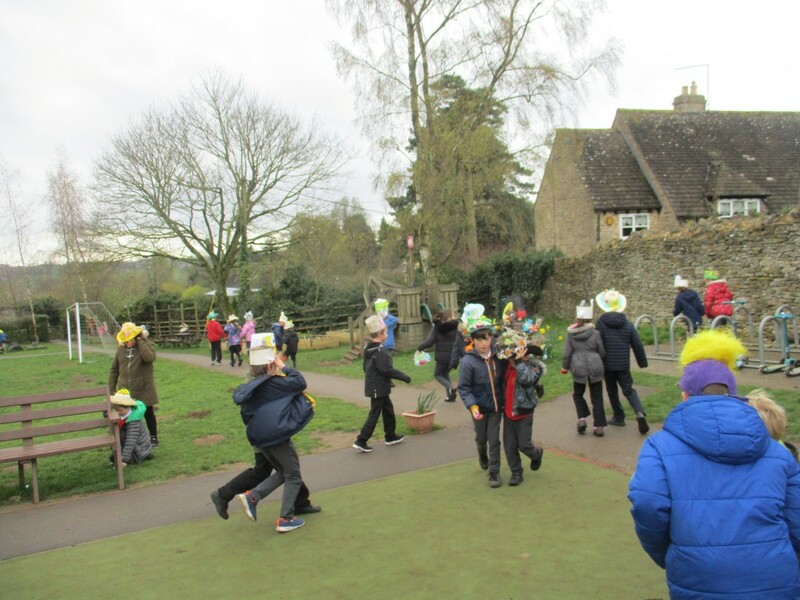 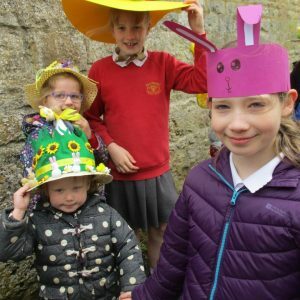 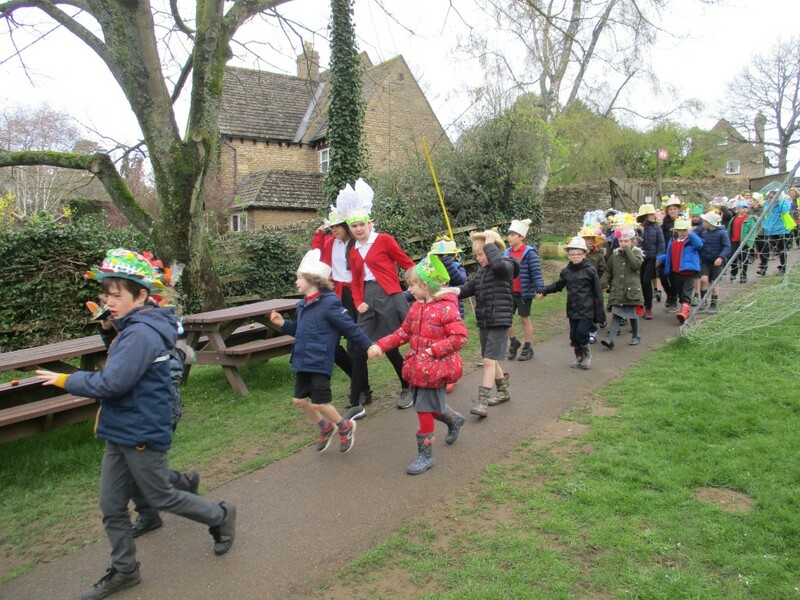 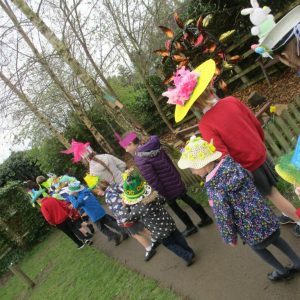 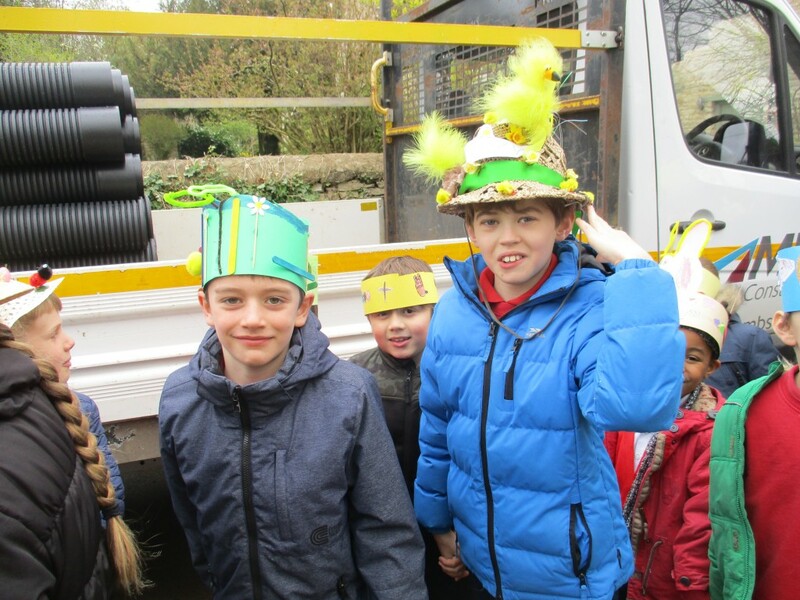 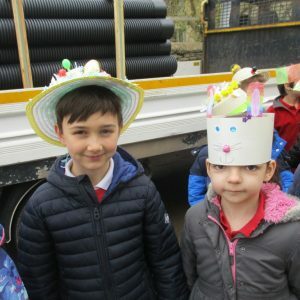 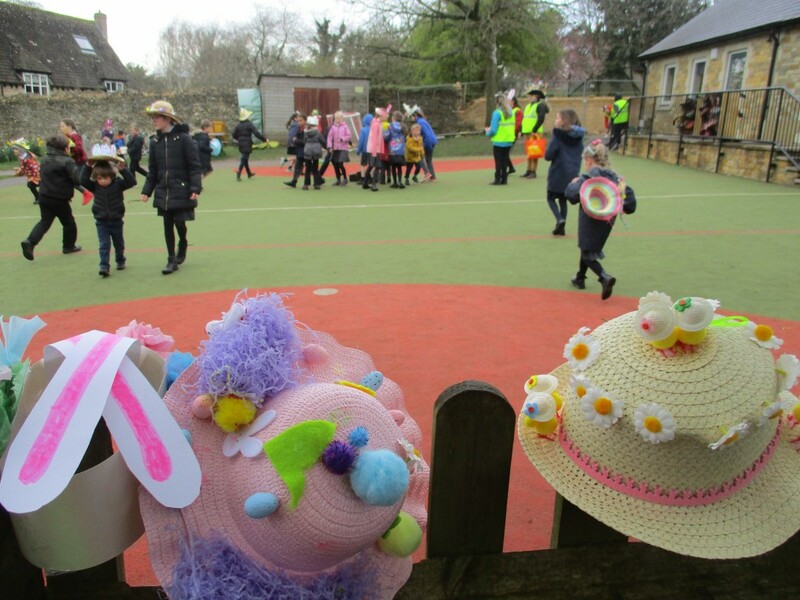 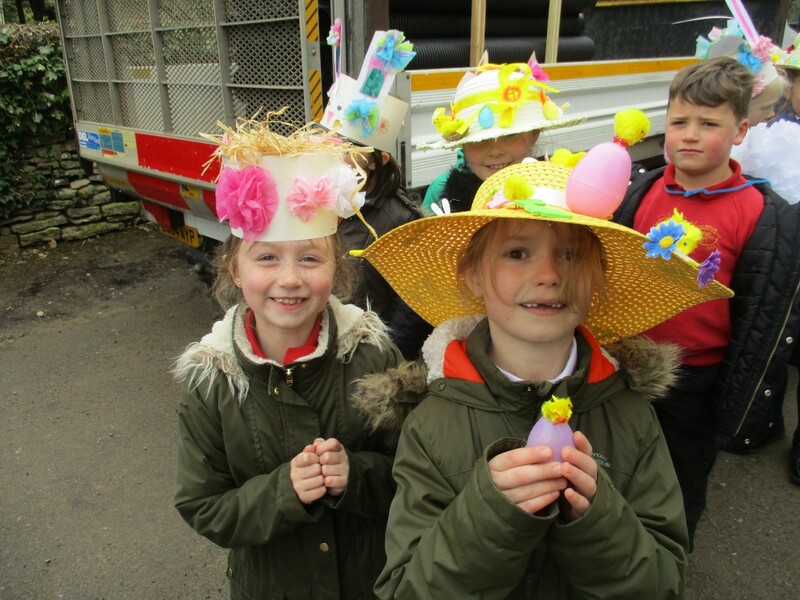 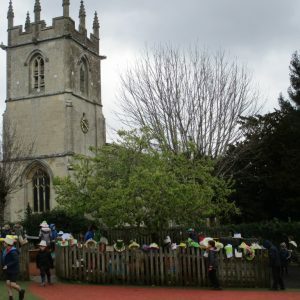 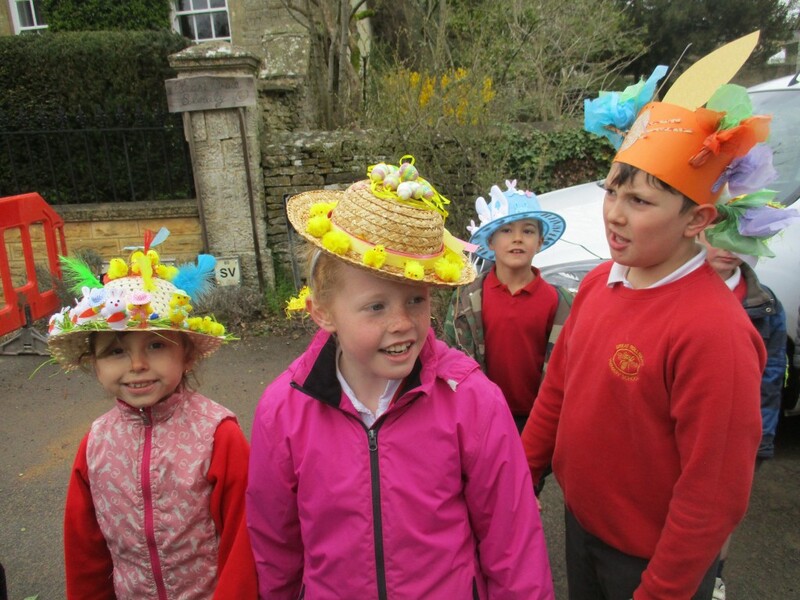 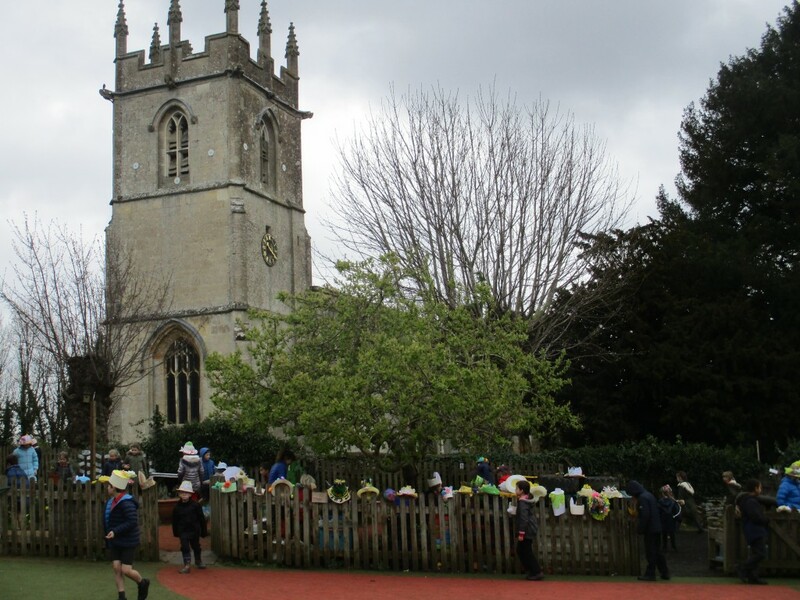 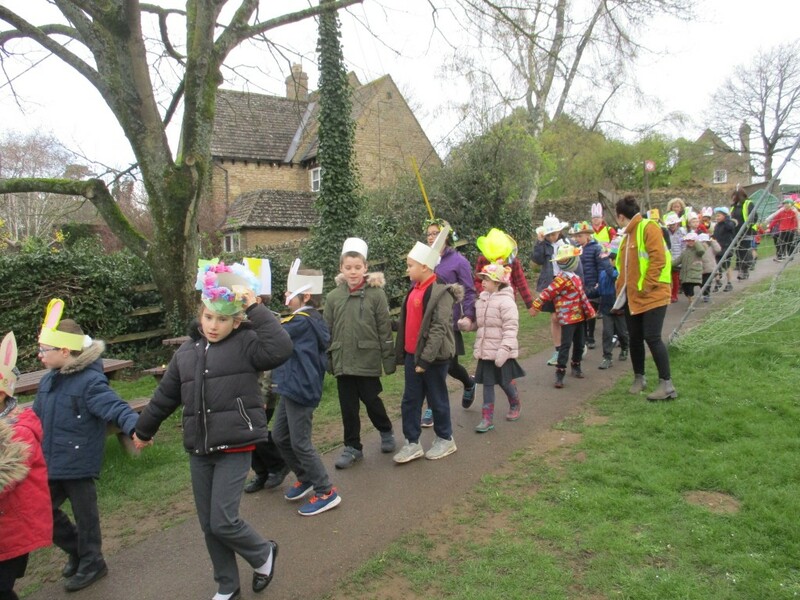 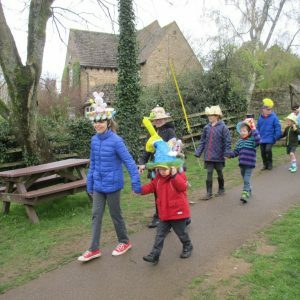 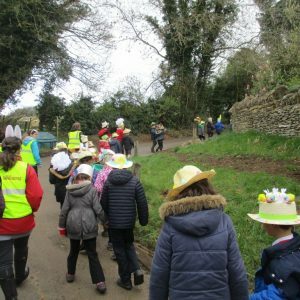 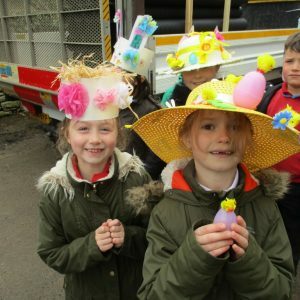 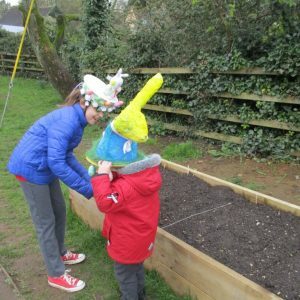 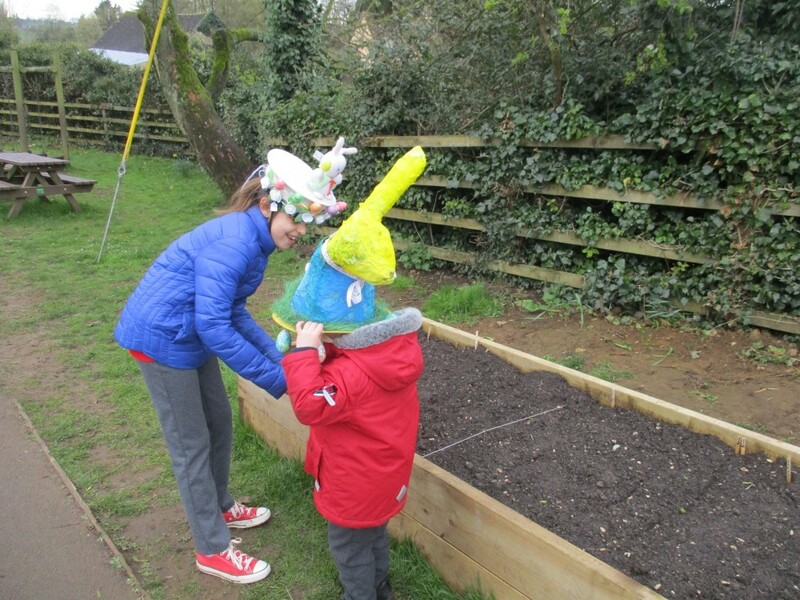 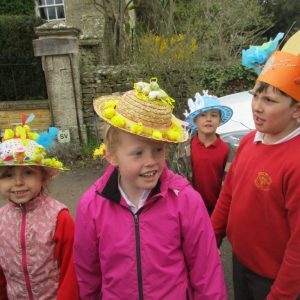 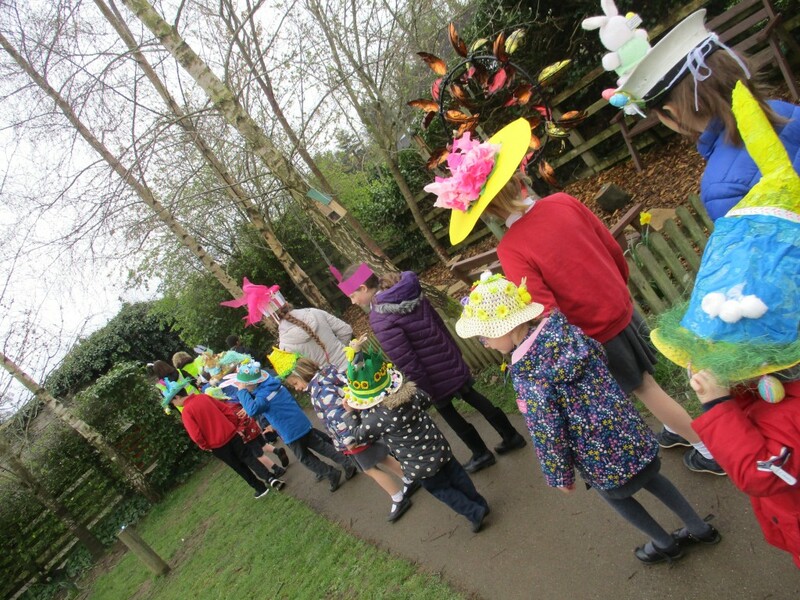 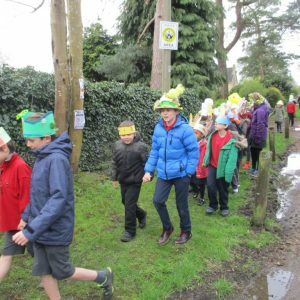 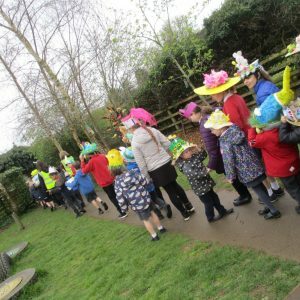 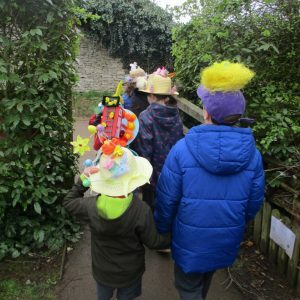 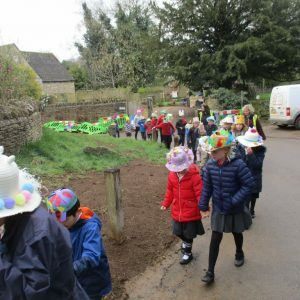 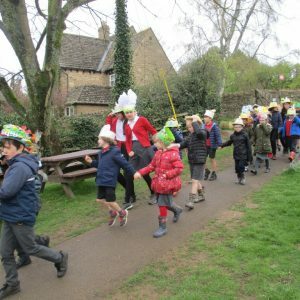 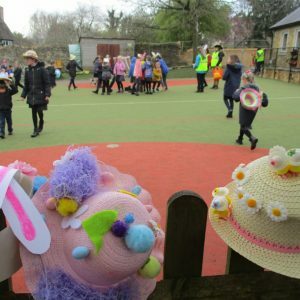 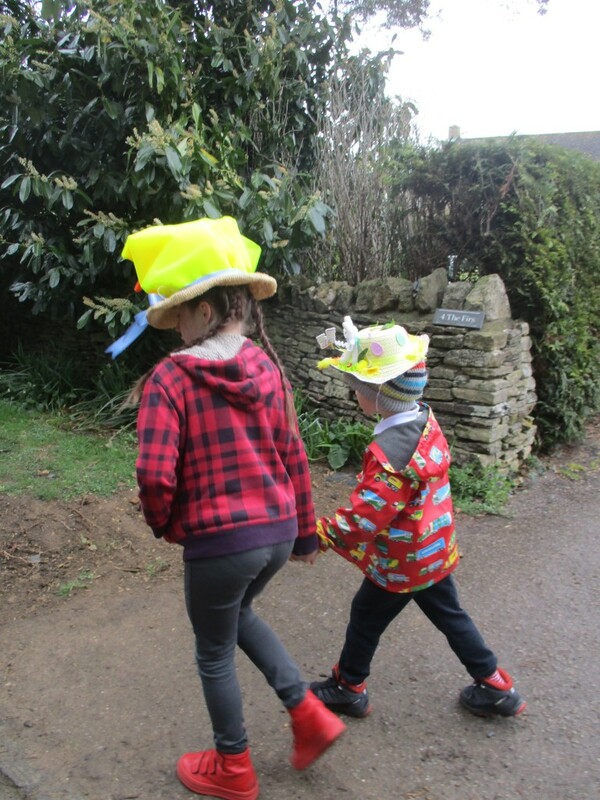 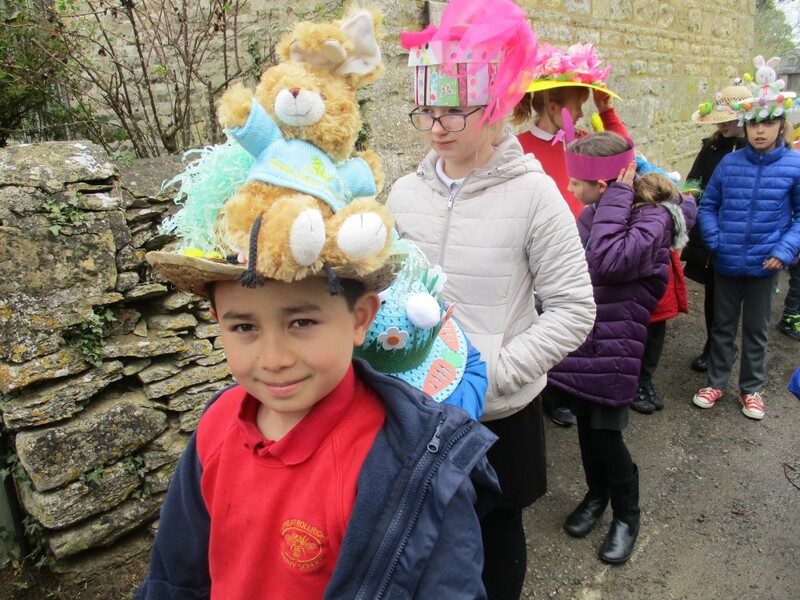 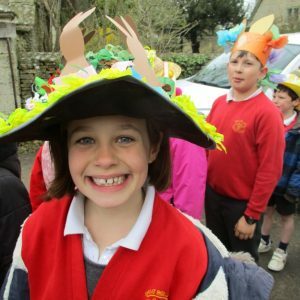 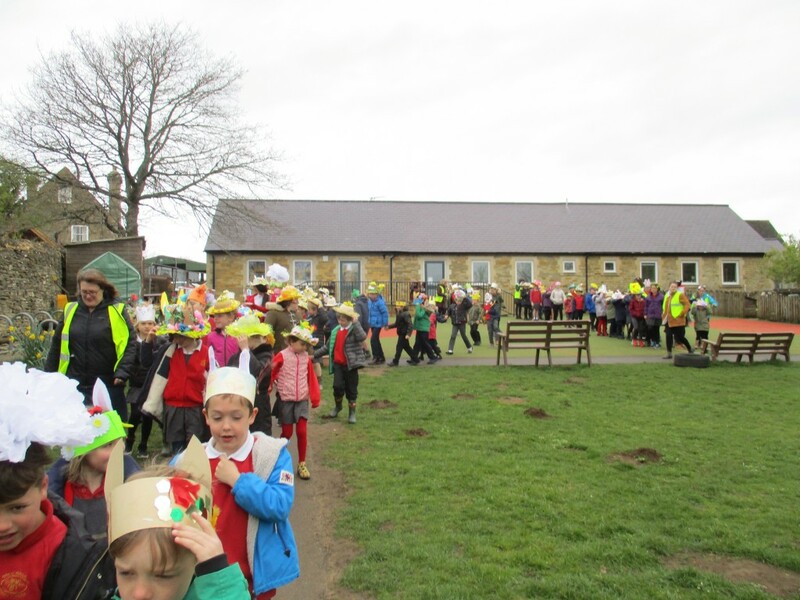 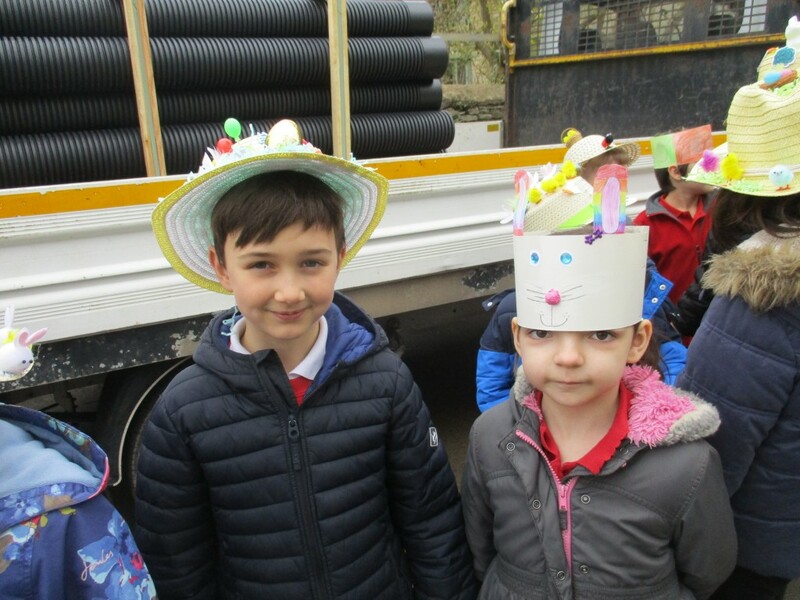 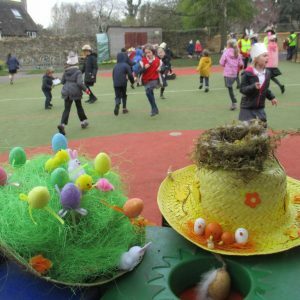 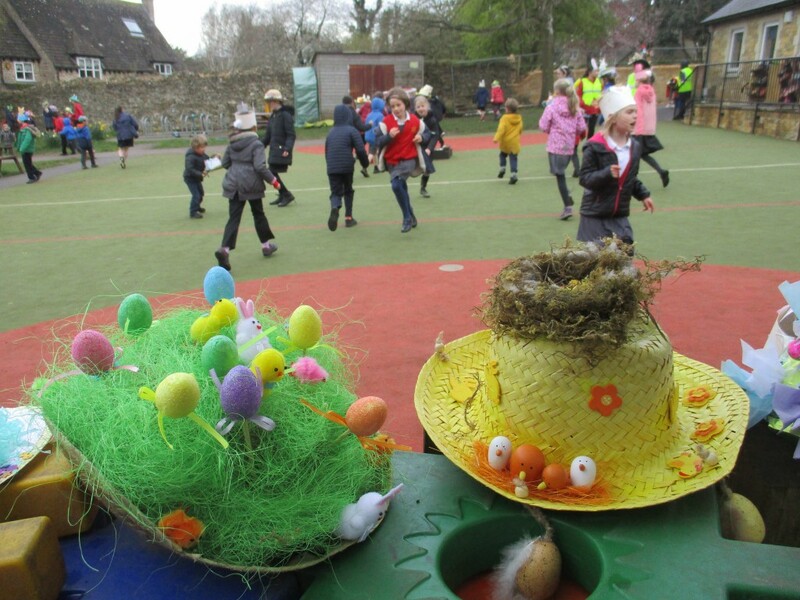 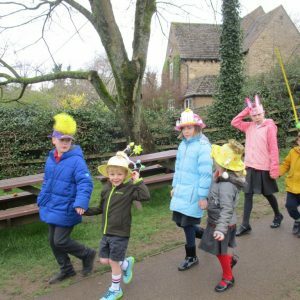 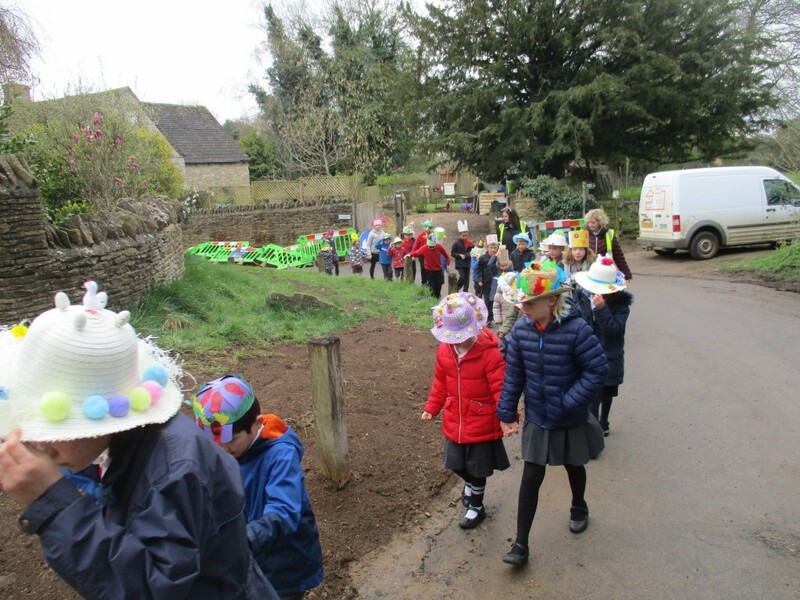 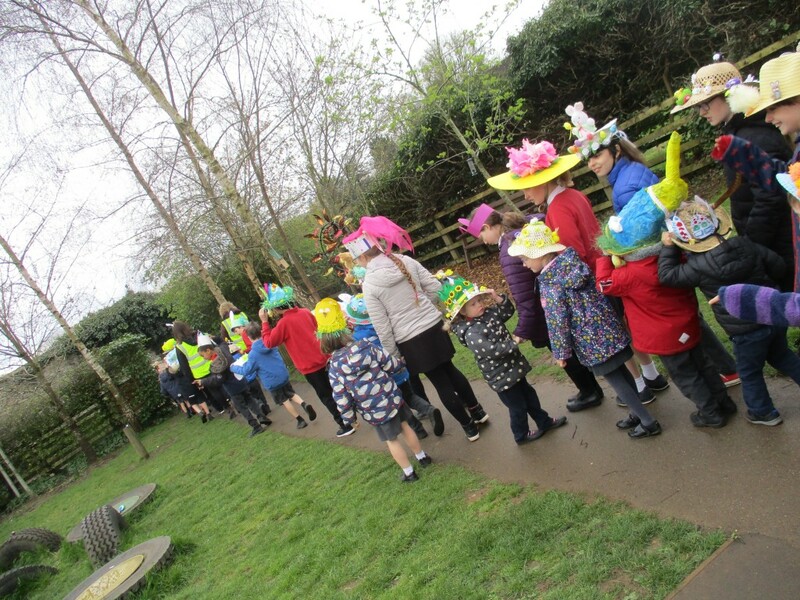 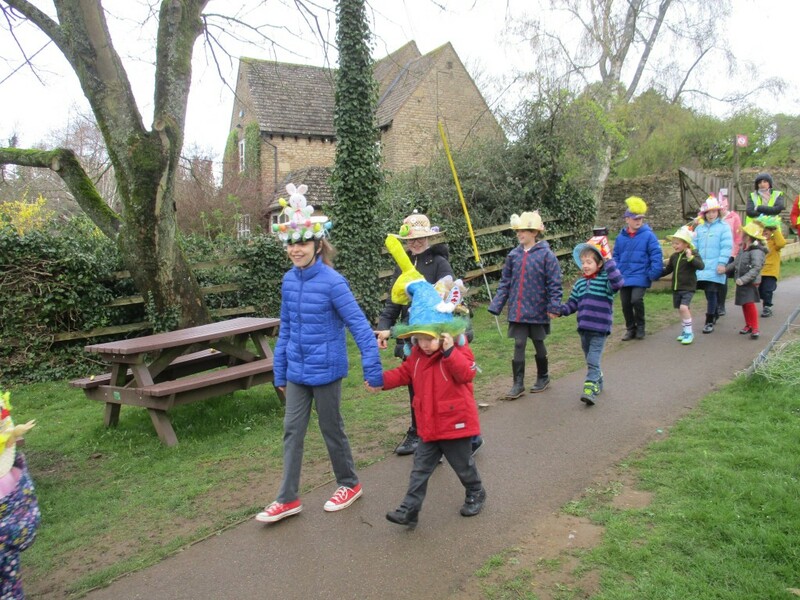 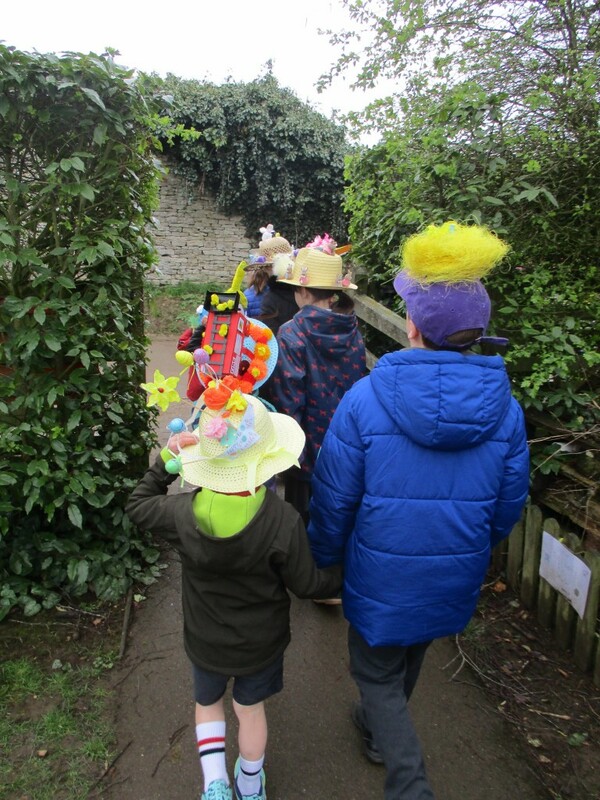 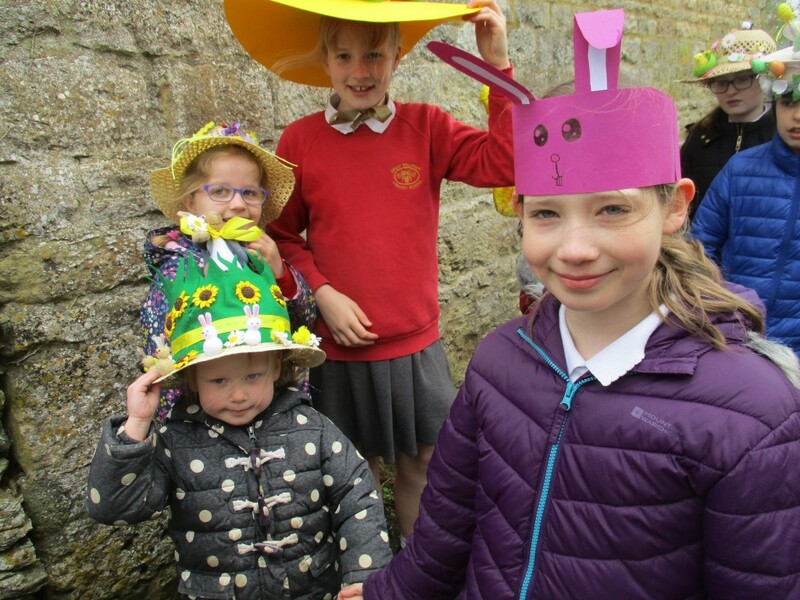 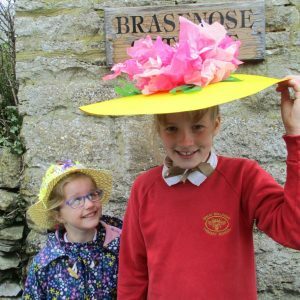 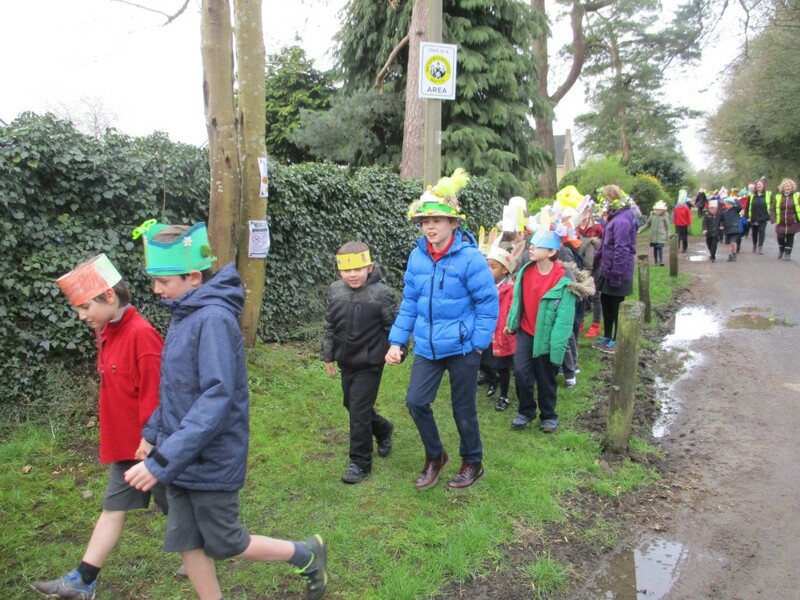 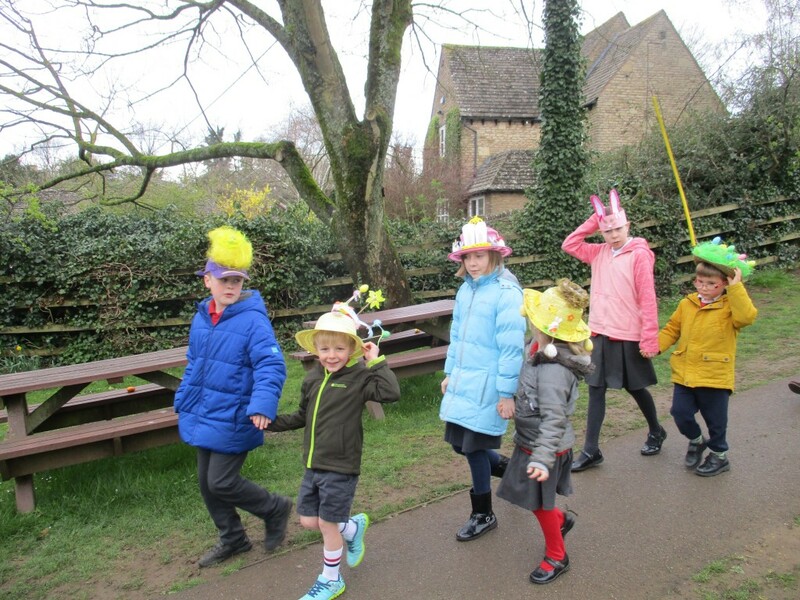 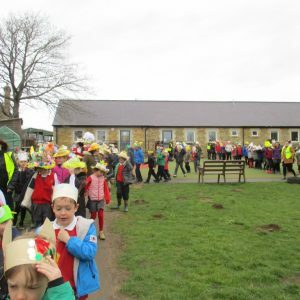 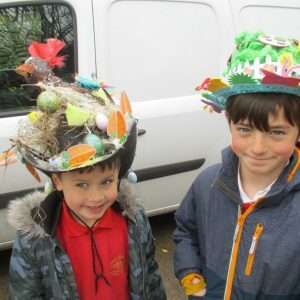 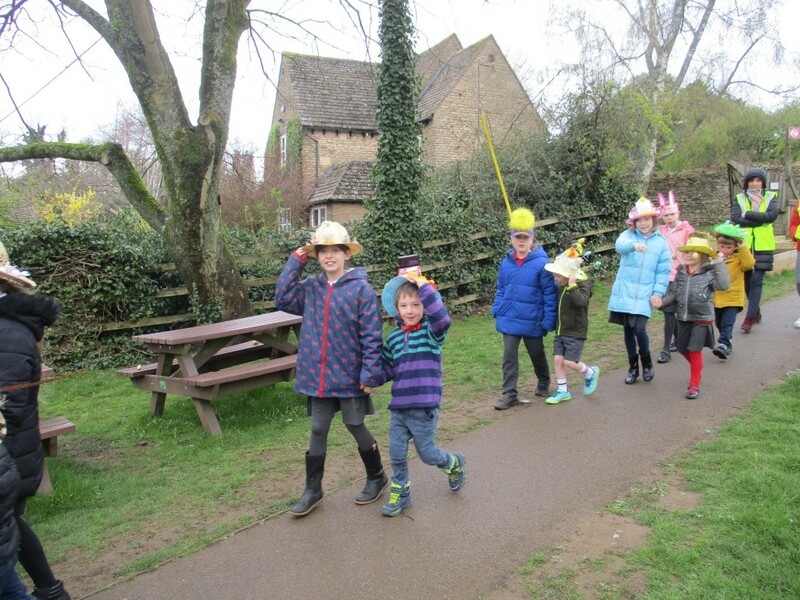 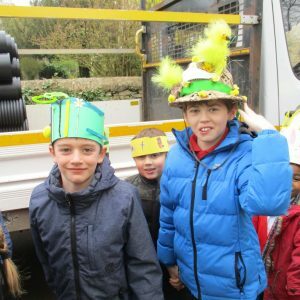 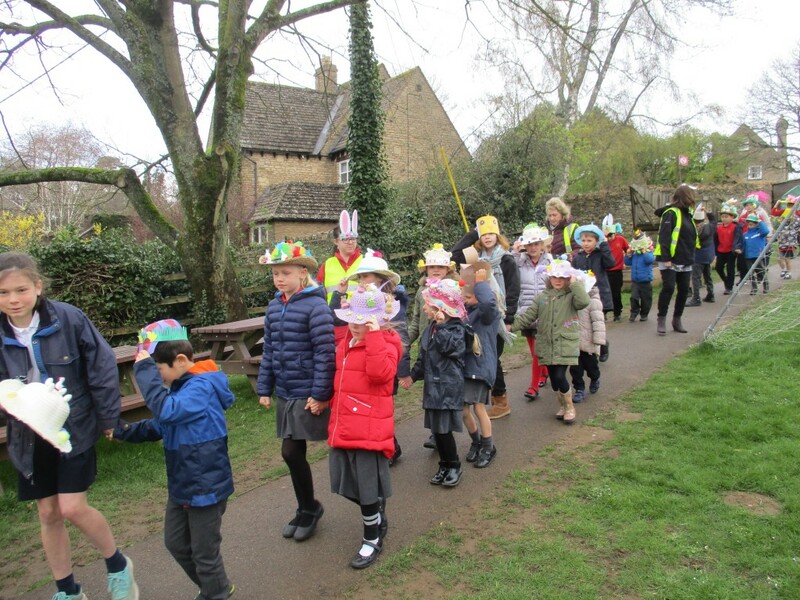 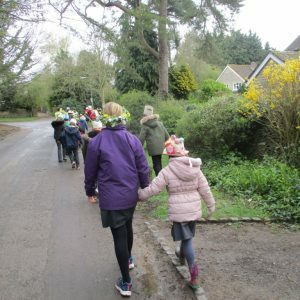 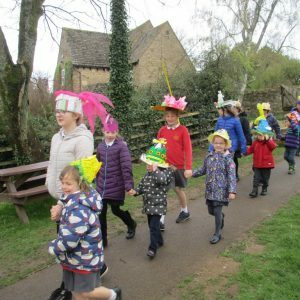 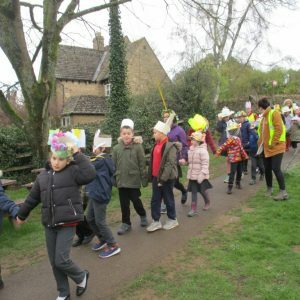 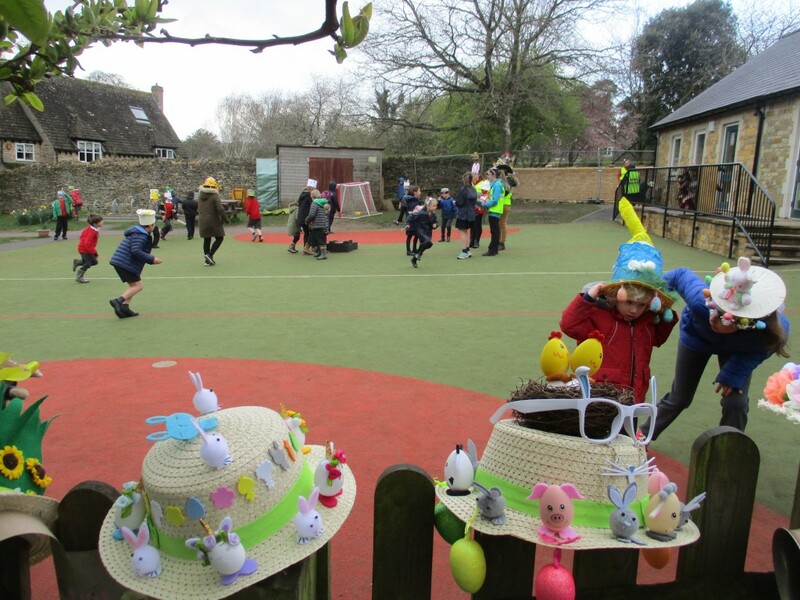 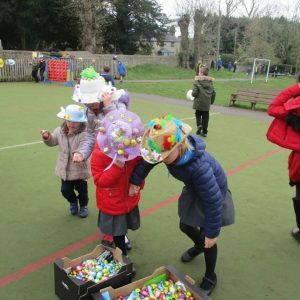 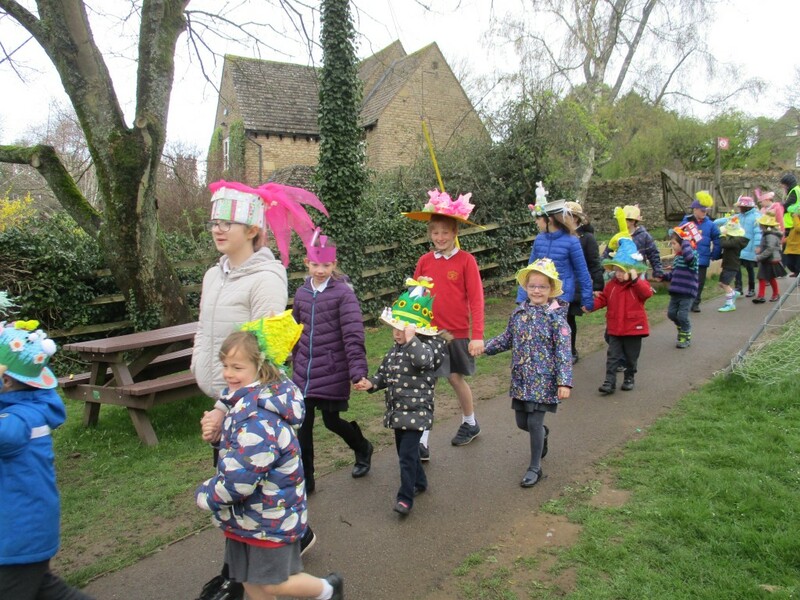 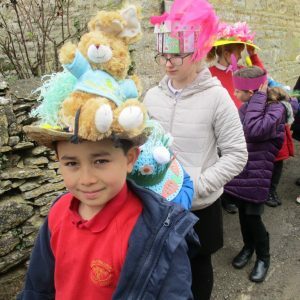 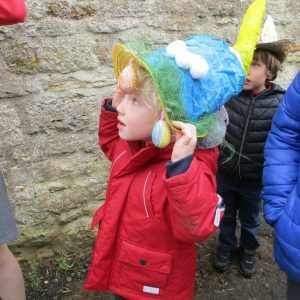 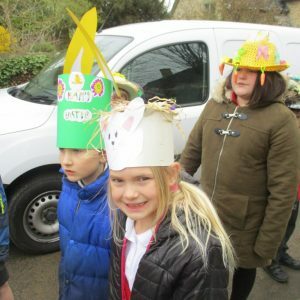 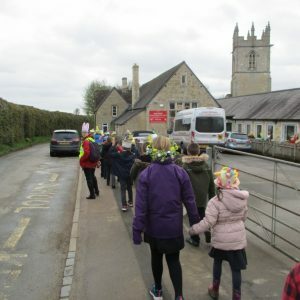 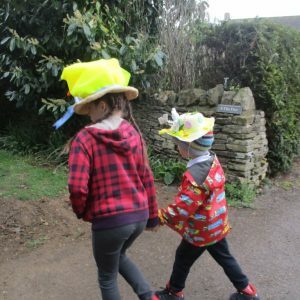 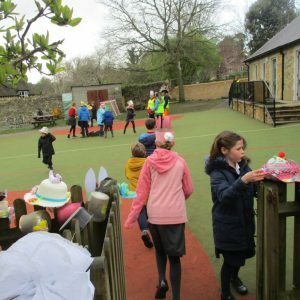 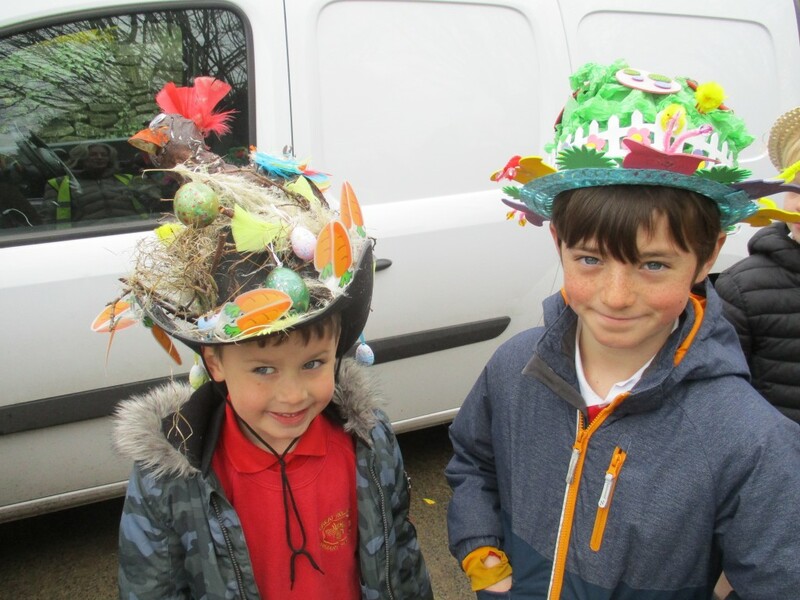 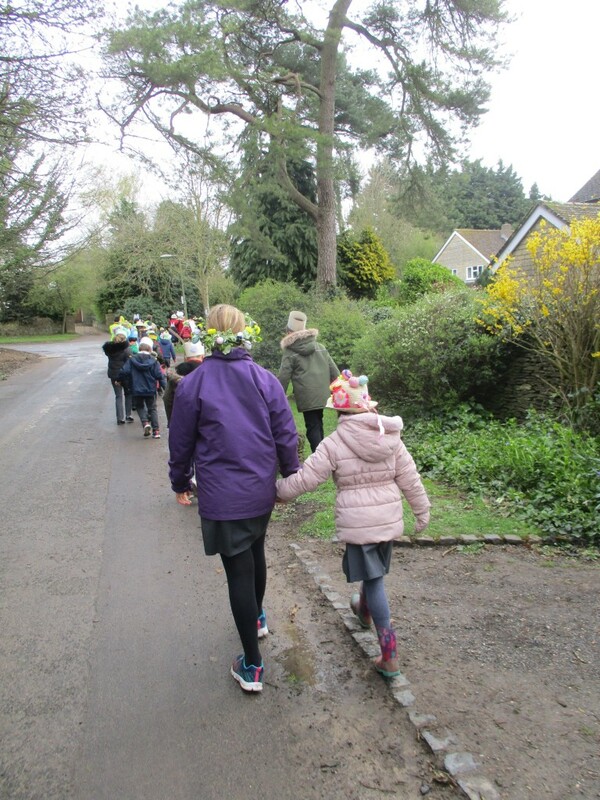 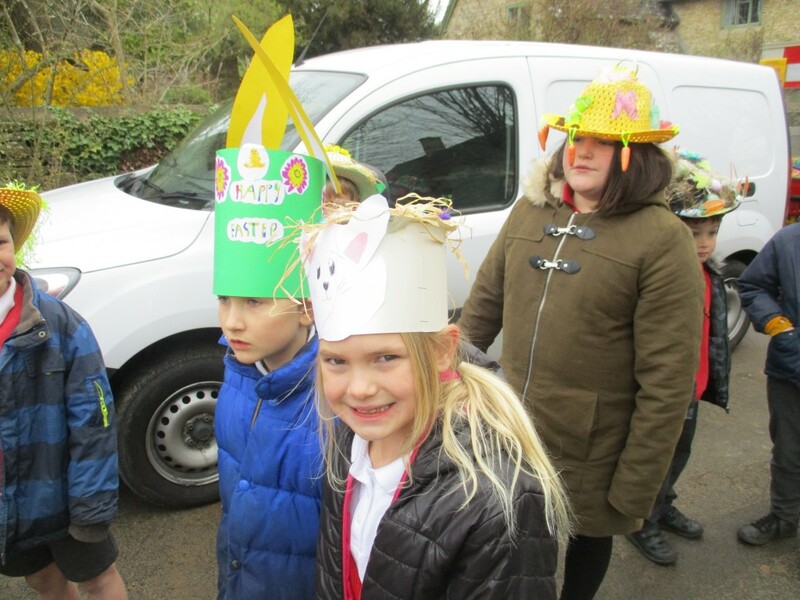 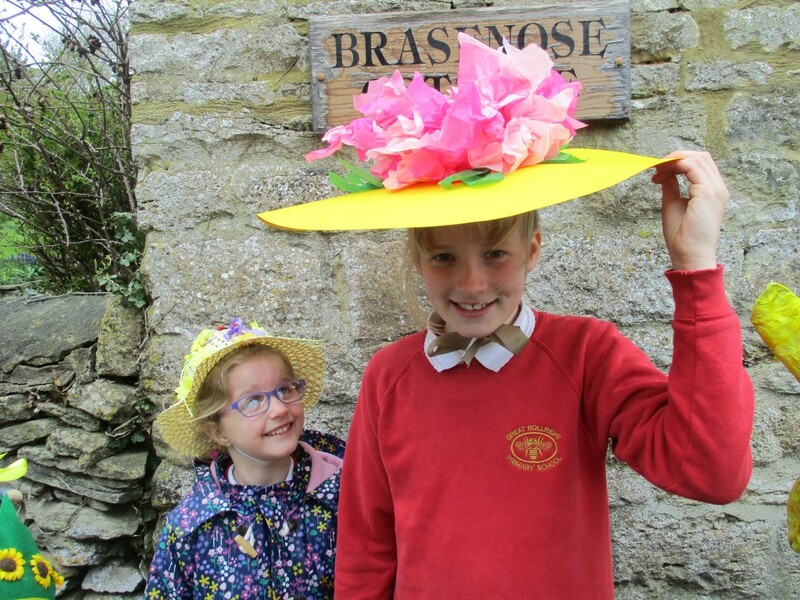 On Friday morning, the whole school put on their wonderful Easter bonnets and set off on a short parade around the village to celebrate the end of term and the approach of Easter. 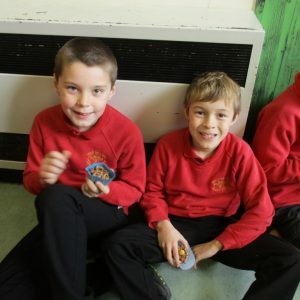 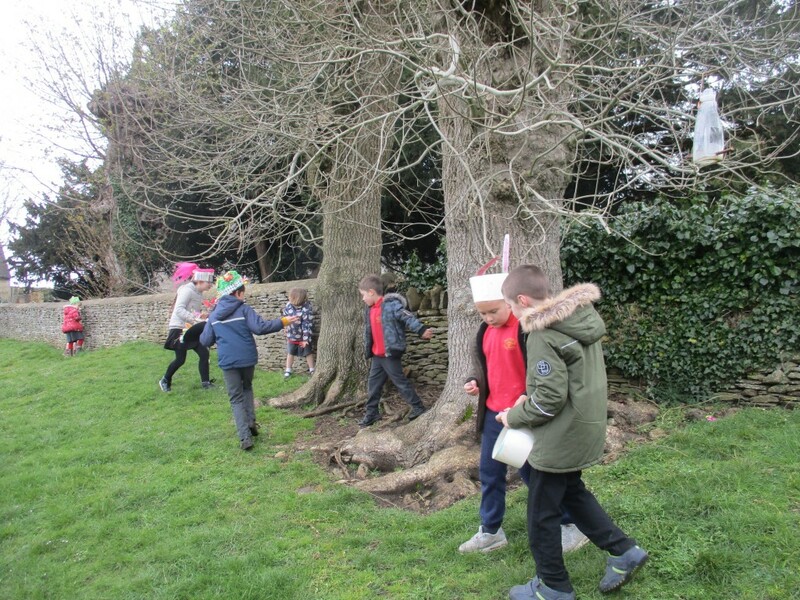 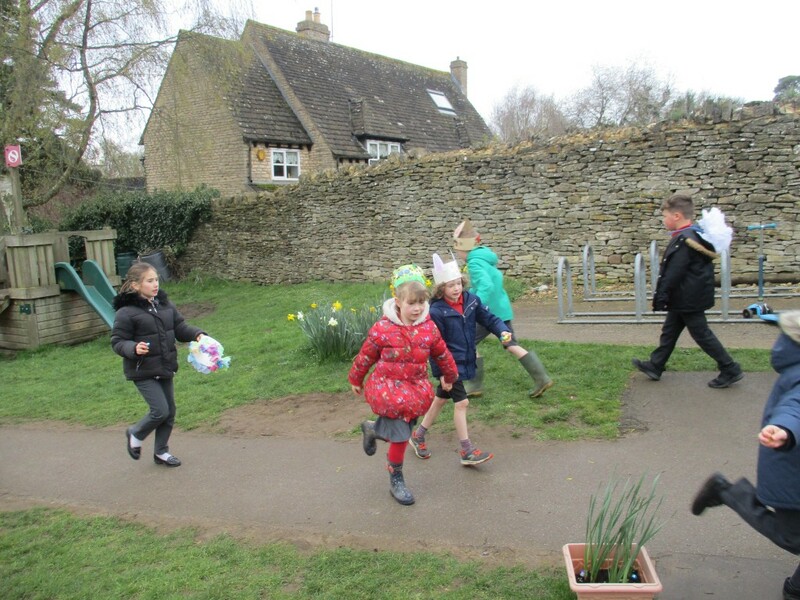 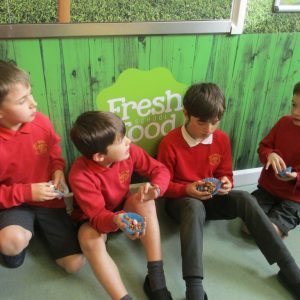 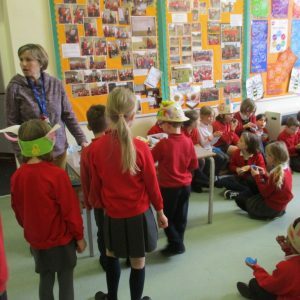 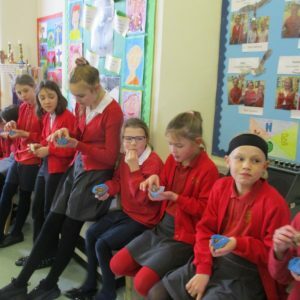 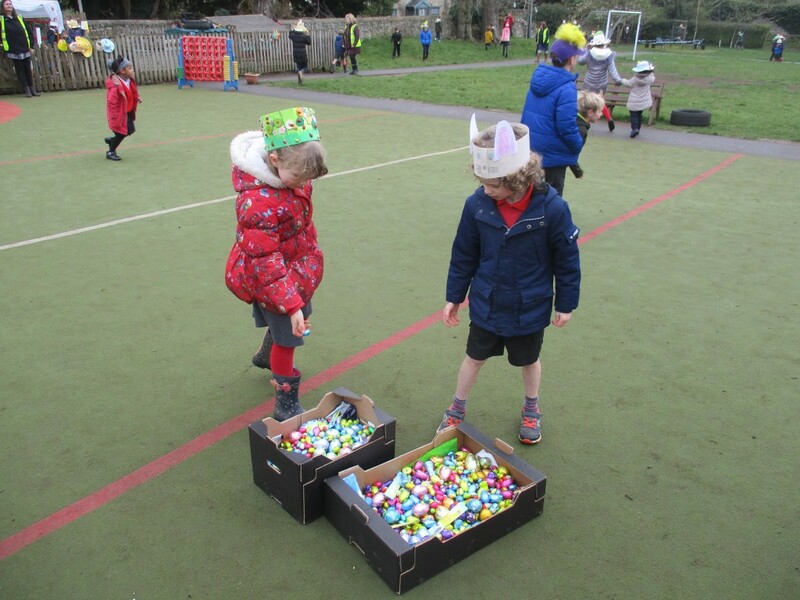 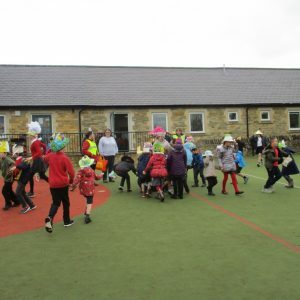 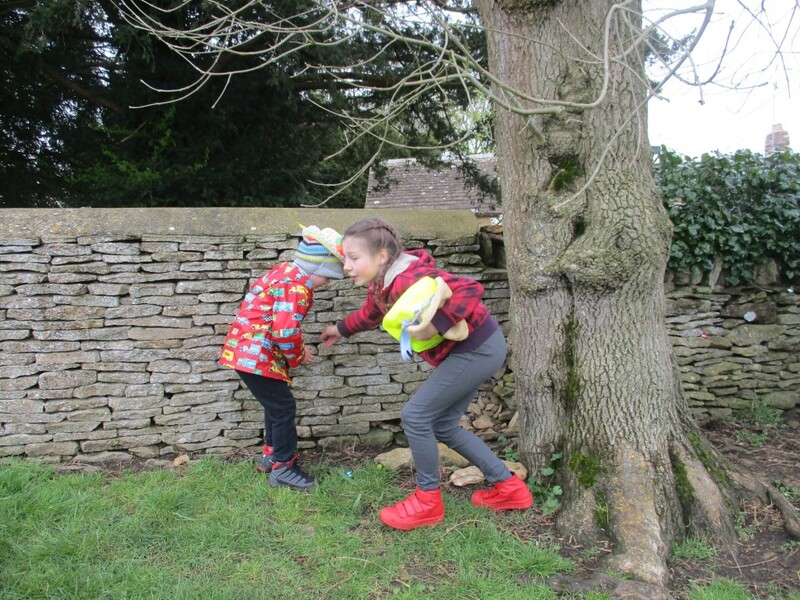 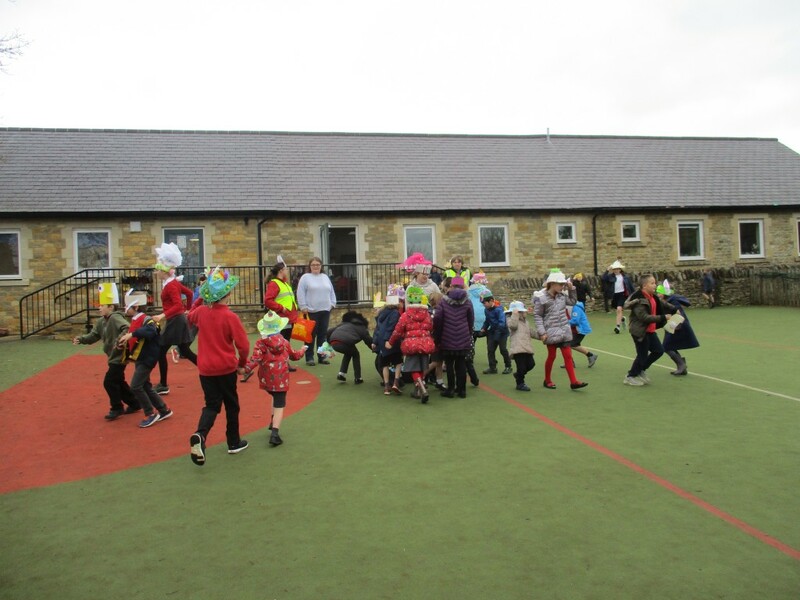 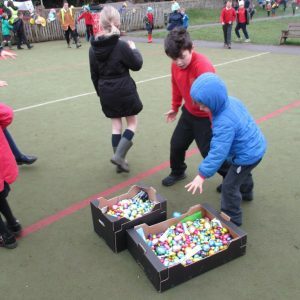 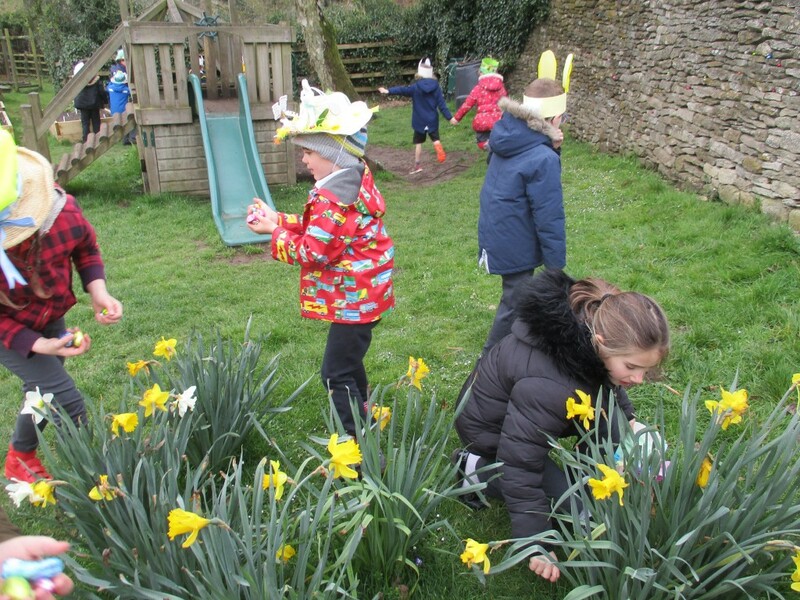 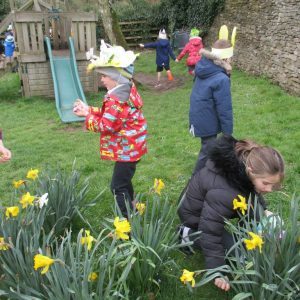 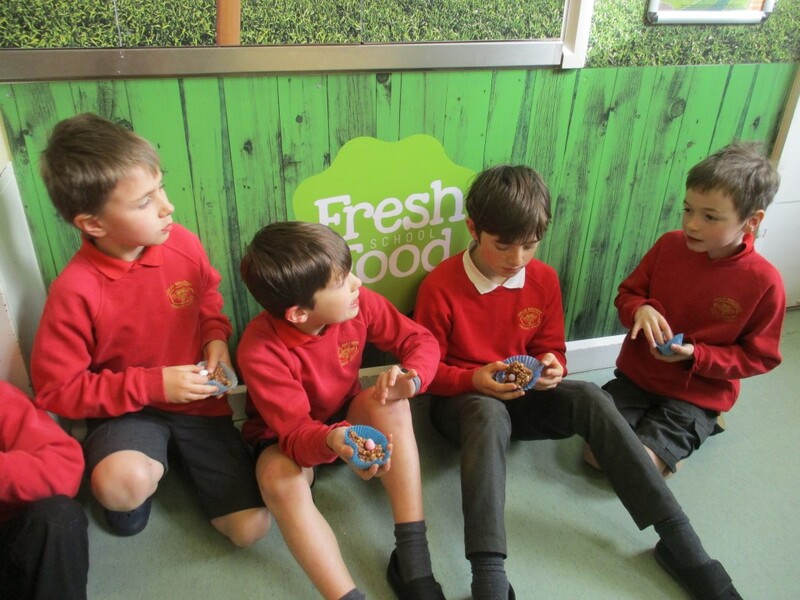 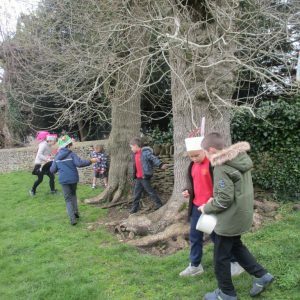 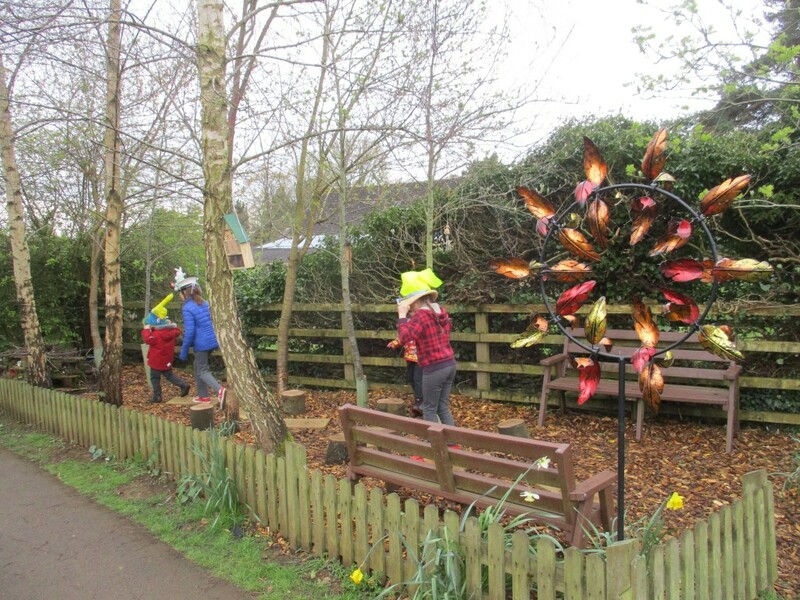 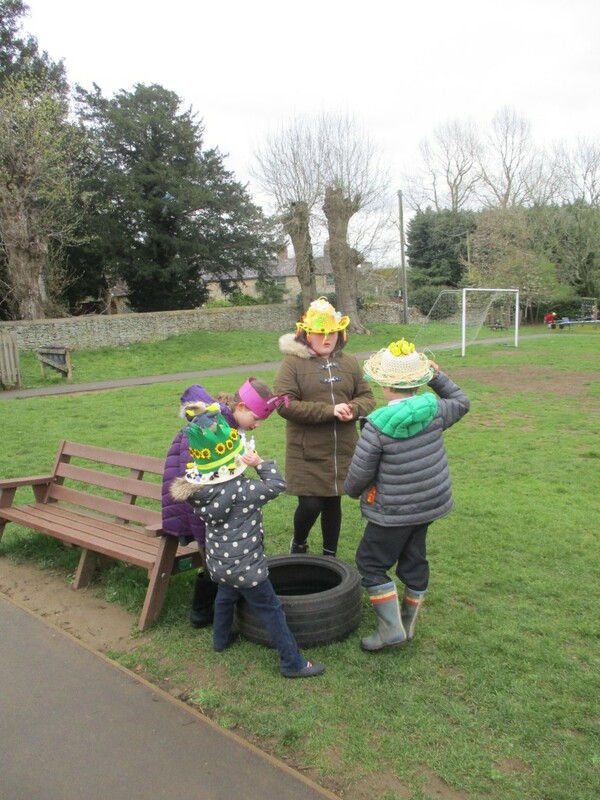 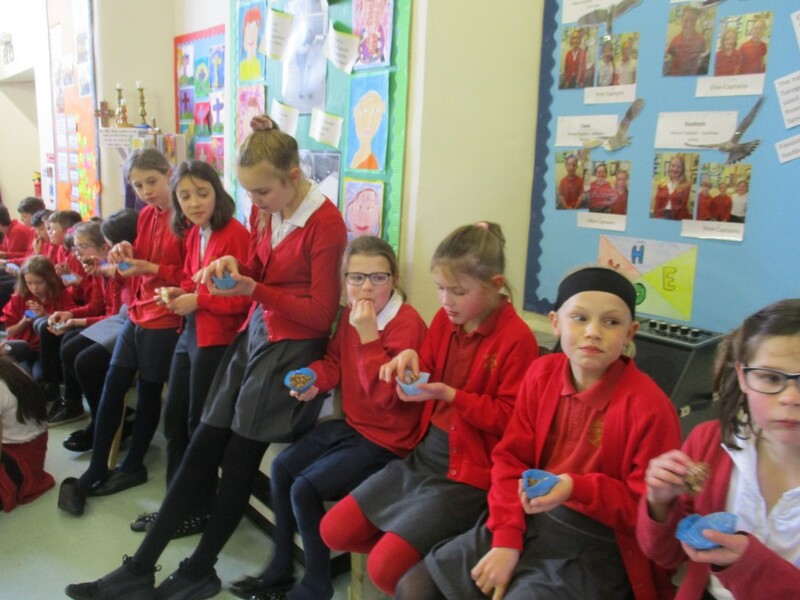 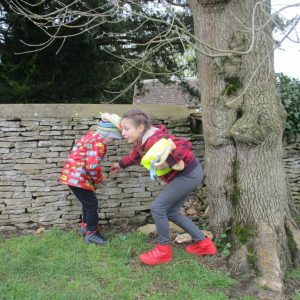 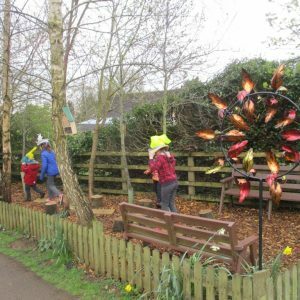 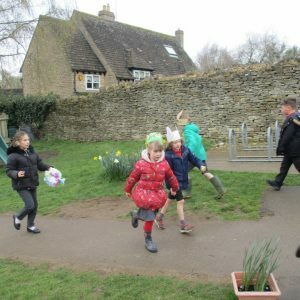 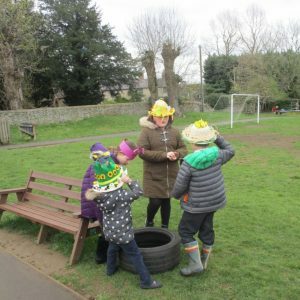 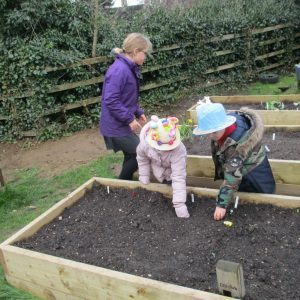 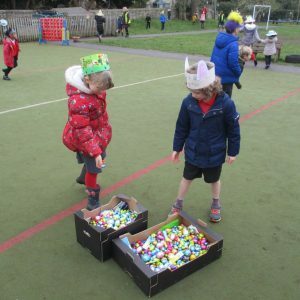 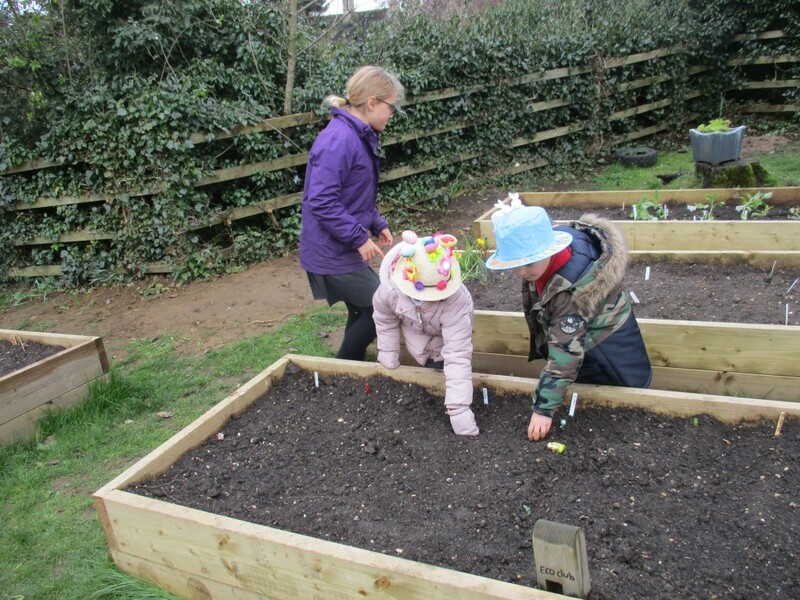 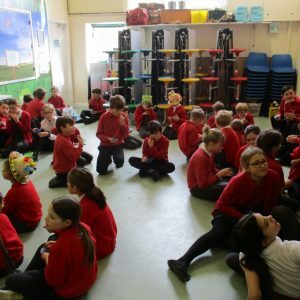 When we arrived back at school, the ‘Friends of Rollright’ had hidden nearly 1000 Easter eggs around the school field and the children worked in pairs to hunt for them and deliver them to the central collection point! 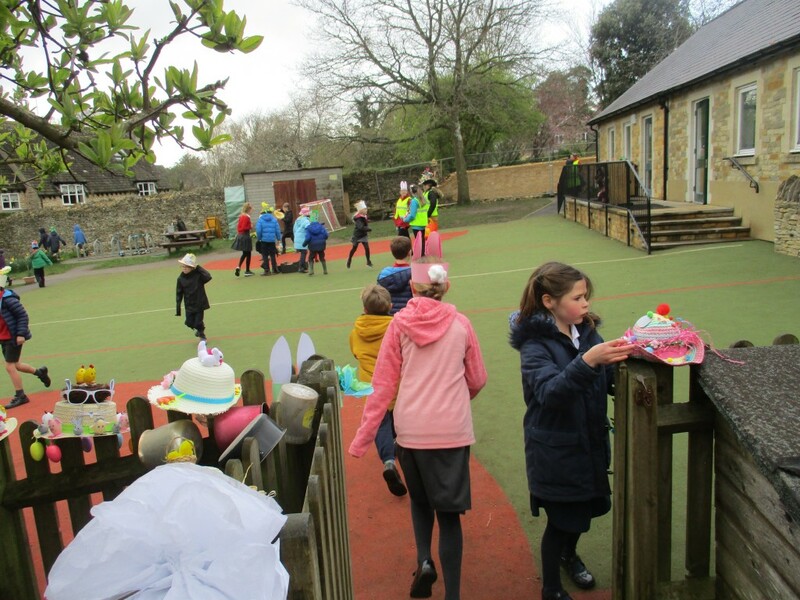 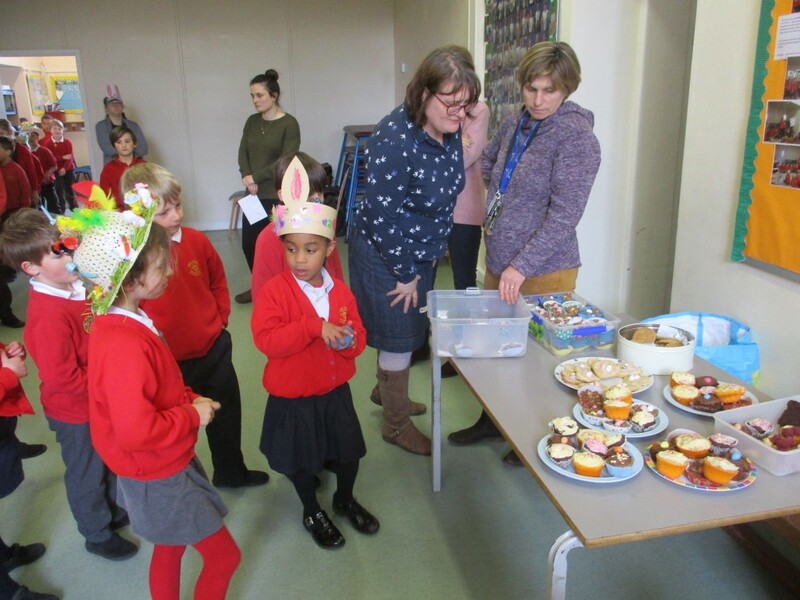 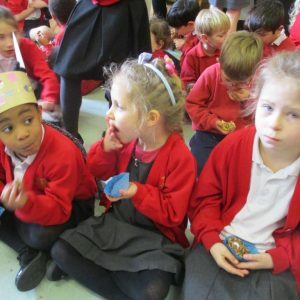 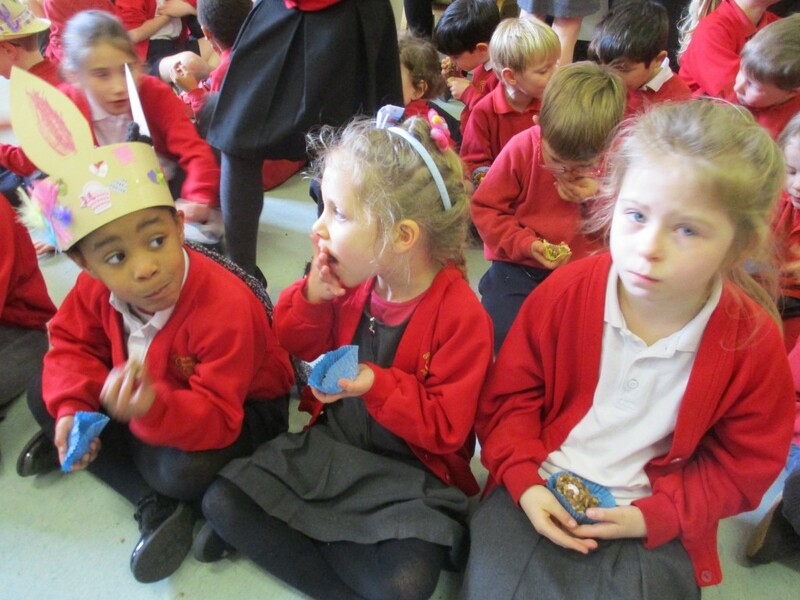 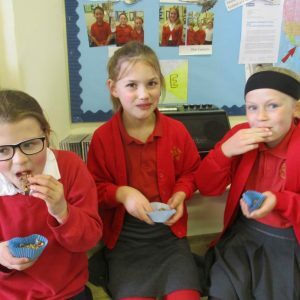 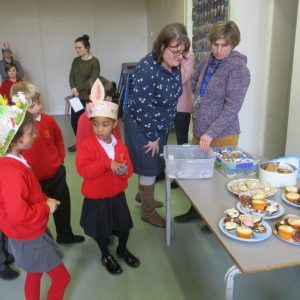 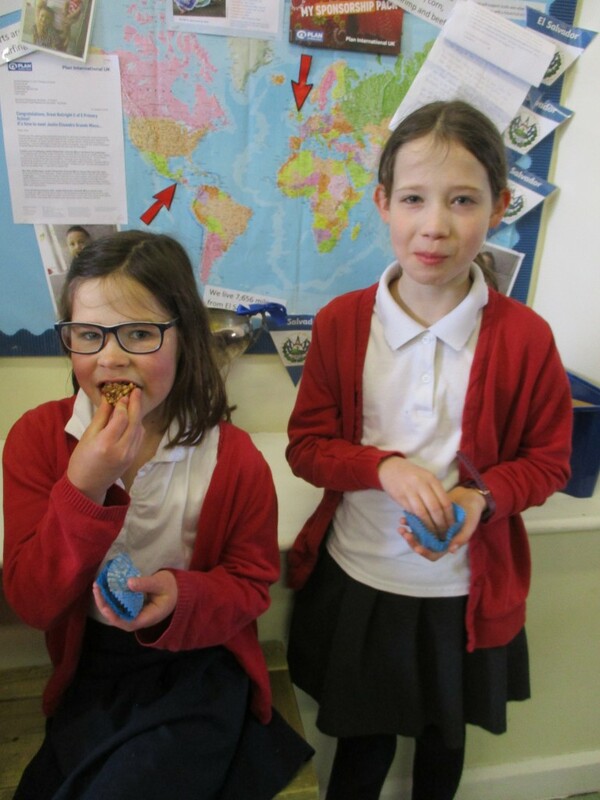 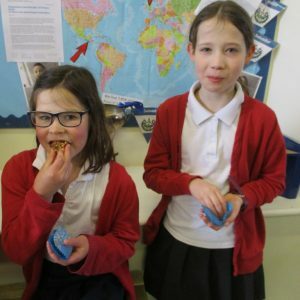 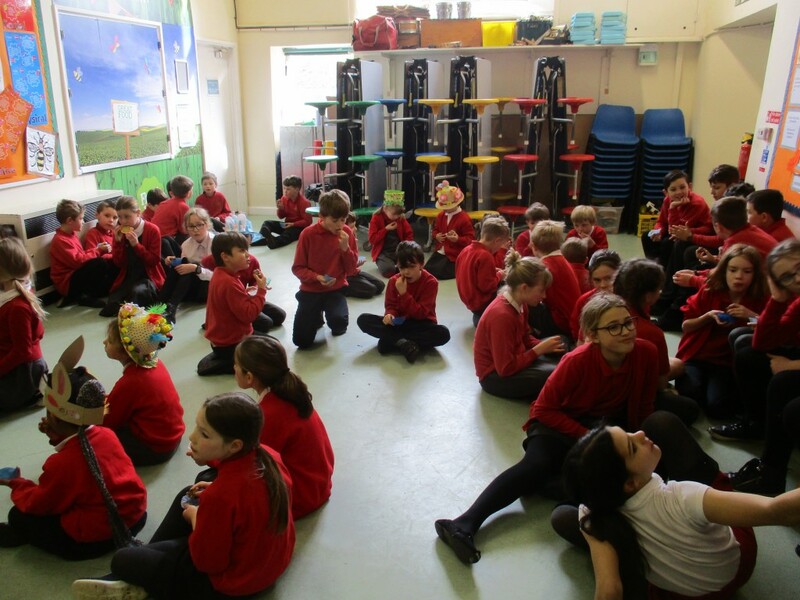 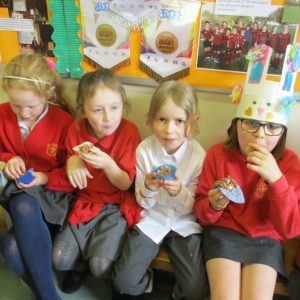 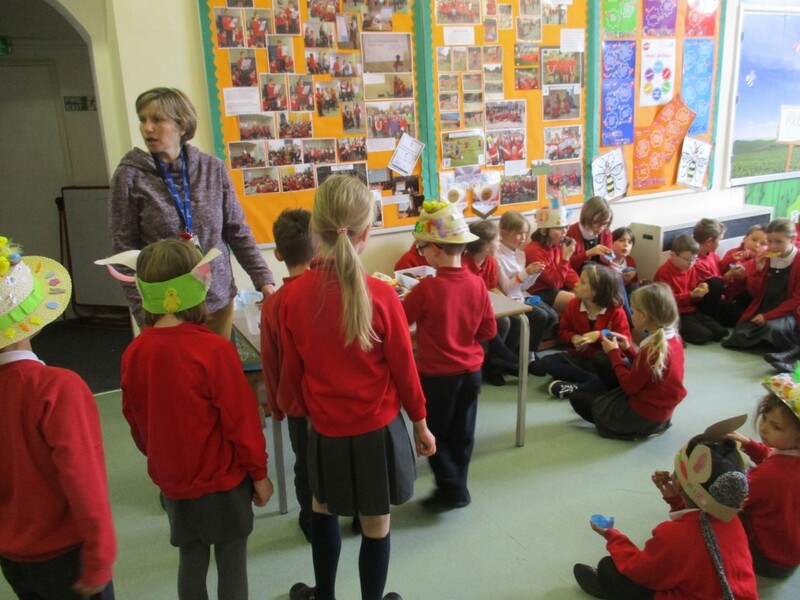 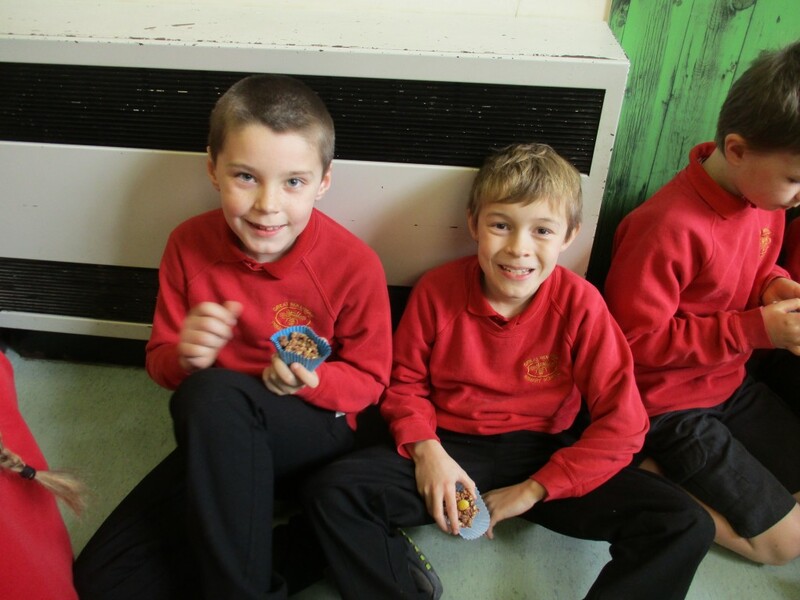 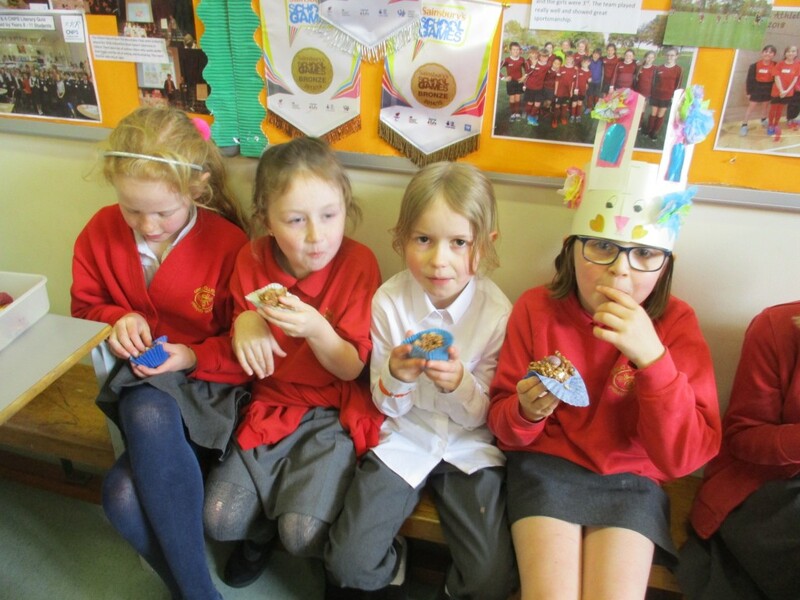 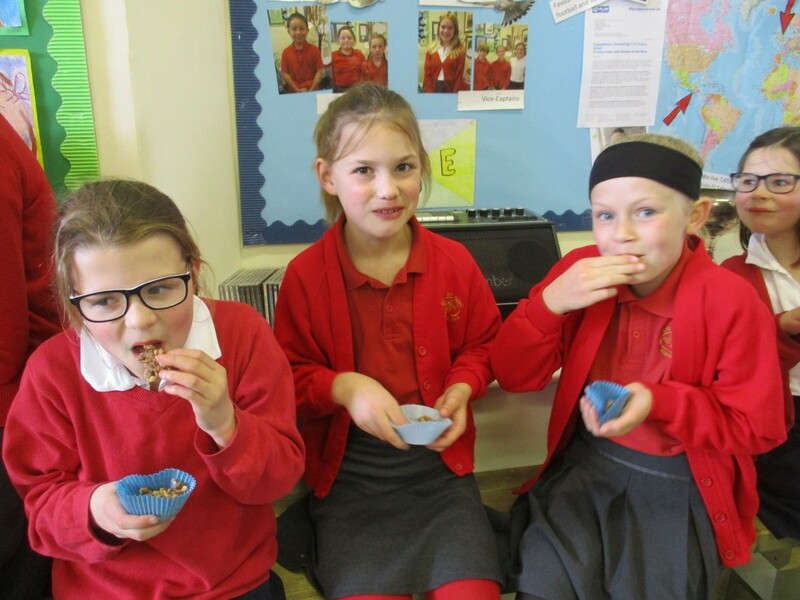 When all of the eggs had been found, we went inside to eat delicious Easter cakes, kindly made for us by Mrs Buxton. 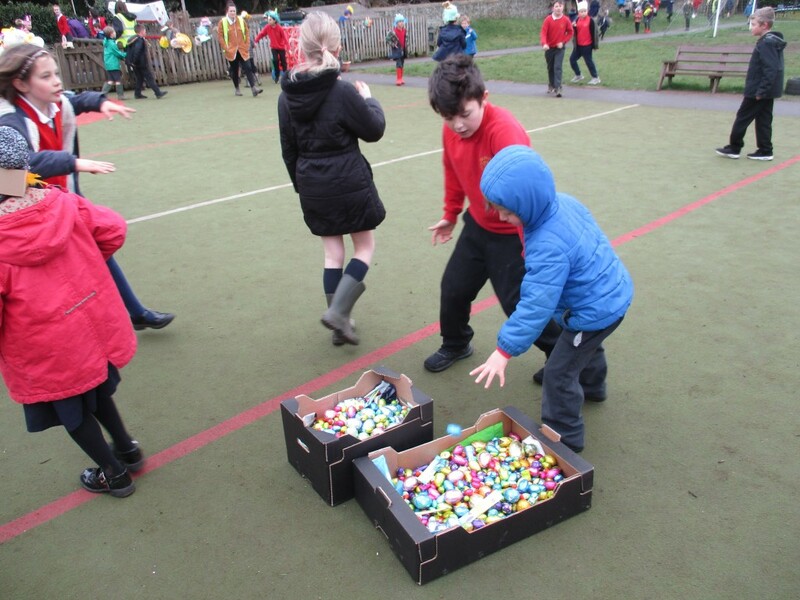 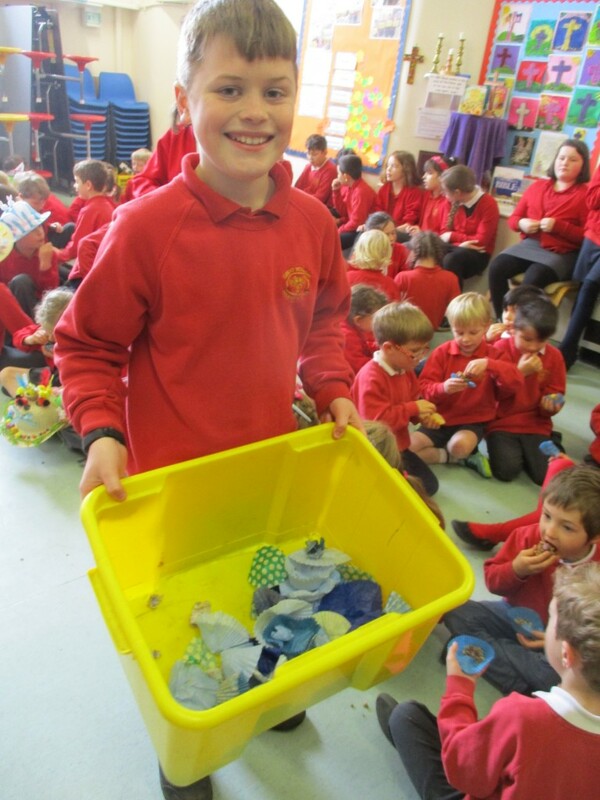 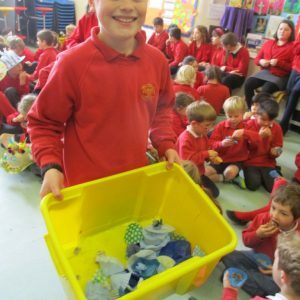 The Easter eggs were bagged up so that everyone had a bagful to take home and enjoy! 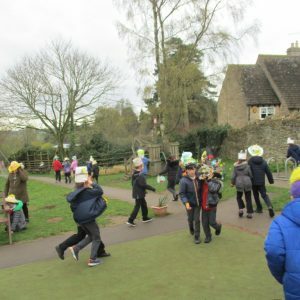 It was a lovely morning. 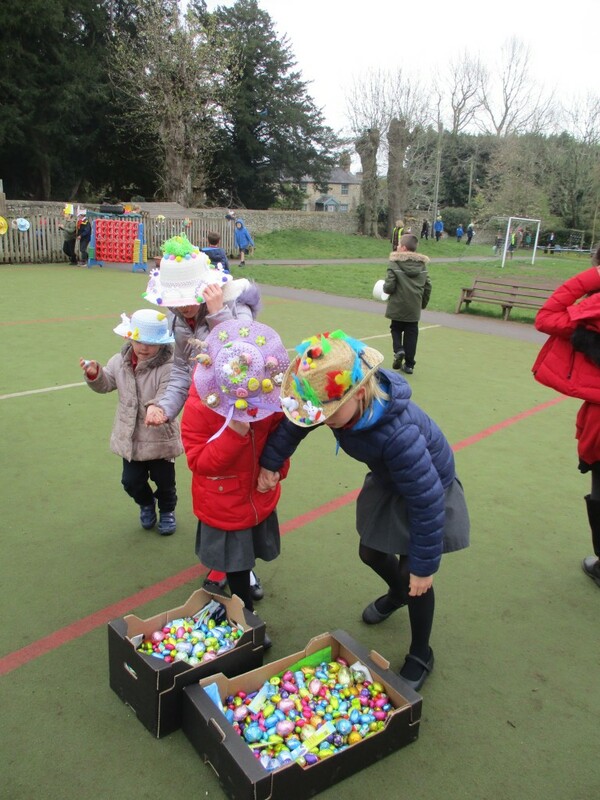 Thank you for all of your help with hats and eggs – we couldn’t do any of it without you!